EBJI » EBJI Wins 6 Medals at Twin Falls Tournament in Idaho! You are Here:EBJI >> News >> EBJI Wins 6 Medals at Twin Falls Tournament in Idaho! EBJI Wins 6 Medals at Twin Falls Tournament in Idaho! Comments Off on EBJI Wins 6 Medals at Twin Falls Tournament in Idaho! 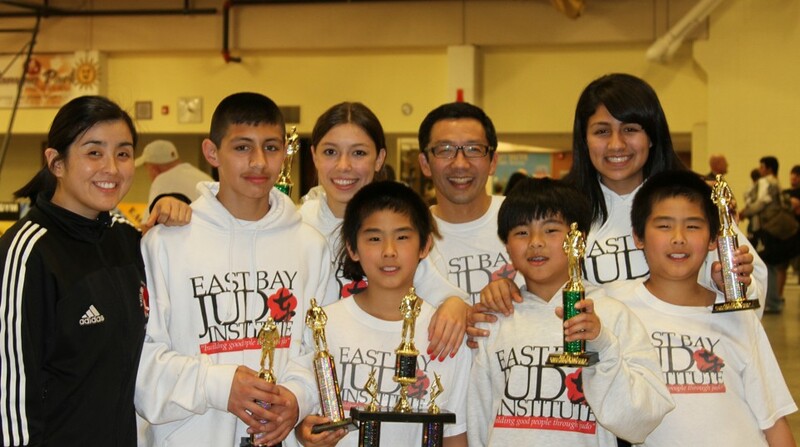 6 members of EBJI flew to Twin Falls, Idaho on April 1st to compete in the Twin Falls Judo Tournament on April 2nd. Estefany Gonzalez, Nico Gonzlaez, Ociane Canadas, Jackson Kim, Sato Matsumoto and Masa Matsumoto were accompanied by Ken Sensei and Sayaka Sensei on their journey. All EBJI Members came home with a medal- with Estefany, Nico, Sato and Masa taking Silver and Ociane and Jackson taking Bronze. Overall the kids had a great time traveling with their peers and having the opportunity to compete against other judoka.